The quickest and easiest way to build catalogs and brochures for CD, DVD, Memory stick, LAN or eBusiness card. Simply place video, PDF, PPT, picture, sound, text, .htm or .exe files in folders and this software will display them. Absolutely no programing required. The brochure builder will find your files and play them automatically. Designers can add their own templates. 100% customisation is possible although restricted in the free version. 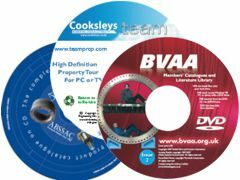 Many large and small companies have used this to create CD brochures including the British Fluid Power Association, British Valve and Actuator Association, Sun Hydraulics, Motorola, New Holland, Goodfellow, Kalamazoo to name a just a few. Use this FREE software to create your own CD or let us make one for you. » Quality CD brochures, catalogues or training manuals in less time and for less cost. 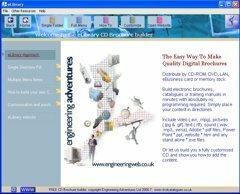 » Simply drag and drop your content into folders to build a multimedia CD-ROM or use the CD Editor software to makes it even faster and easier. » Absolutely no programming required. » Combine and deliver all types of information including video (.avi, .mpg), pictures (.jpg & .gif), text (.rtf), sound (.wav, .mp3, .wma), Adobe *.pdf files, Power Point *.ppt, website *.htm, Word *.doc, Excel *.xls and any stand alone *.exe files. » Distribution by CD-ROM, DVD, Memory stick, LAN or eBusiness card is cheap, fast and efficient. We challenge you to find a program that is easier to use, or gives better results in less time. » Can be re-skinned to match your Corporate image. » Massive saving against a individually designed CD, typically under £300 ($548) instead of over £5,000, and with better results. » Can look just like your website but with more speed + power and no need for web access. » Runs on any PC without installing files onto the users computer. » Why not let us produce your first CD and teach you how to update it or add new products. 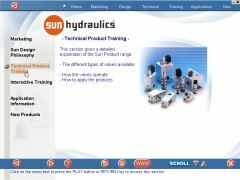 » Provides interactive training to all of your customers and staff. » Peer to peer, video training libraries provide more effective communication. » Simple to change the content for each customer. » Does NOT install files on the users computer. » Many years of development to ensure it meets your needs. » You manage the content we've taken care of the technical side. » Don't tolerate CDs that you cannot update yourself. Almost every house now has a DVD player capable of high quality video and pictures. Our unique house sale version has been optimised for estate agents to create powerful sales CDs for TV or PC in less than 5 minutes. Find out more about our property sale version. » Full picture and text search of large product lists. » Bulk order manipulation, saving, printing, dispatching etc. » Calculating shipping container spacing. » Automatic price and parts list updates via the Internet. Research has shown that people like clear navigation and easy access to the information they are interested in. This eLibrary software mirrors a standard website layout but is not restricted by the size, security and software limitations of a web browser. 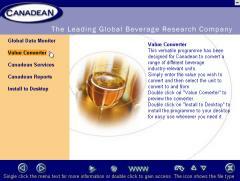 Therefore you can deliver a larger range of better quality information, much more easily. Snazzy presentations cost lots to produce and are difficult to change. Worse than that they can never be at the right level for everyone so few people watch them. It can be worthwhile animating key points to make them stand out but this should be done sparingly and split into small sections so users don't get bored. Our highly acclaimed website builder software will allow you to use the same content for your website, CD and PDFs. Enter your data into Pure SEO CMS and simply push one button to create a website and then use the htm pages in this CD catalogue builder. No need to add the information twice. If you have already produced your company CD but require some powerful viral marketing tools or other software solutions to drive users back to your website then take a look at our promotional software website to see how easily this can be done.